Takeaway: Lotus pose is never simple, but it is a wonderful asana for a truly transcendent meditative experience. Lotus pose is an advanced yoga posture -- there’s no doubt about it. And yet, it’s so prevalent in yoga. It’s the pose that comes to mind when we picture Hindu sages sitting so mystically and trance-like in deep meditation. How natural they look! As if they don’t have one sore bone or muscle in their body. As one of the most ancient postures within the vast pantheon of yoga asanas, lotus pose is one of the more advanced postures out there. As such, you’ll want to be patient with yourself as you learn how to master it. There are many steps to take before you get there, but look at it all as a sacred journey. And as we know -- it’s more about the journey than it is the destination. So, here is why you need to master lotus pose and how you can by practicing "starter" poses and even using yoga props. 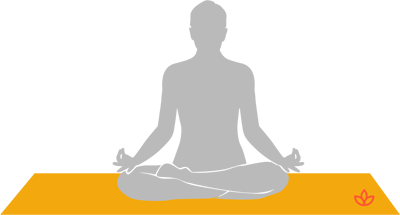 Lotus pose (also known as padmasana in Sanskrit) is the ultimate yoga posture for spending long periods of time seated for meditation practice. It’s a pose that you need to work toward mastering because it’s so perfect for enjoying a fruitful seated meditation practice. And meditating successfully is one of the primary goals of a yoga practice ever since it began thousands and thousands of years ago. Here’s a fun tidbit: one of the main reasons why you need to master the beloved lotus pose is that if you happen to fall asleep during your meditation practice, you won’t topple over! That may be enough motivation for you to work toward mastering the pose. But here’s another reason: by simply knowing that you’re in a safe, stable and secure position for seated meditation, your mind will naturally begin to calm itself and get still. And beginning to still the fluctuations of the mind is -- according to Patanjali (author of The Yoga Sutras) -- at the heart of yoga. Additionally, lotus pose puts a bit of pressure on the base of the spine, which is also said to help relax the body and mind -- another meditation prerequisite. Like savasana (corpse pose), lotus pose appears to be easier than it really is. Your hips need to be super open to sit in lotus pose for long periods of time. The legs are crossed and the feet placed on opposite thighs with the spine vertical and lengthened. The position actually requires your knees to be on the floor once you finally master it. In the meantime, you’ll want to make sure that you don’t feel knee pain as you work toward mastering the pose. A bit of discomfort in the posture is okay. Pain is not. Fire log pose is a good starter pose for working toward mastering lotus. To begin, sit on the floor or on your yoga mat with your legs parallel to each other, one leg directly on top of the other. Do this every day for five minutes. Make sure you do it on both sides -- first with one leg on top, then the other. This is a lot like lotus pose, only a lot easier. You’ll want to master fire log pose before moving on. Half lotus pose is exactly what it sounds like -- you’re halfway to lotus in the pose! In half lotus pose, you put just one of your feet in your hip crease rather than both. Alternate legs as you spend time in half lotus. This pose is the perfect one to do if you’re sitting in a yoga class and the teacher tells the class to enter lotus. 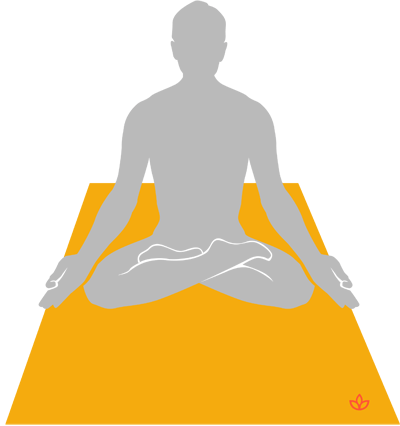 At the heart of lotus pose are wide open hips. Most of us don’t have hips that are open enough to sit comfortably in lotus, unless we are or were dancers at one point in our lives. Sitting in upright chairs and in cars all day generally leads to tighter hips, so we’re working to let go of the tight places in our hips through the practice of hip-opening postures that aren’t quite as advanced as lotus pose. When you want to sit in lotus but aren’t quite there yet, bring in the bounty of yoga props! You can use yoga blocks, blankets and cushions under your knees to bring the floor to you and alleviate some of the pressure put on your knees and hip flexors. Props are simply fantastic tools to use on your journey to lotus. There you have it -- a little more insight into the famed meditative posture that is lotus pose. Lotus pose is never simple, but it is a wonderful asana for a truly transcendent meditative experience. Not all of us will be capable of mastering lotus because of the way our bodies are made. If this is you, don’t worry. 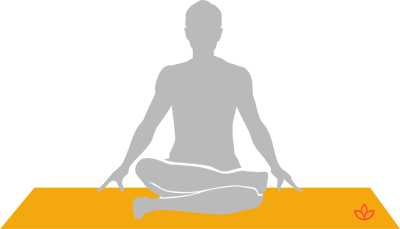 Lotus pose isn’t absolutely necessary for your meditation practice. It will certainly enhance it, though!